Anthropologists at the Smithsonian's National Museum of Natural History and an international team of collaborators have discovered that early humans in East Africa had—by about 320,000 years ago—begun trading with distant groups, using color pigments and manufacturing more sophisticated tools than those of the Early Stone Age. 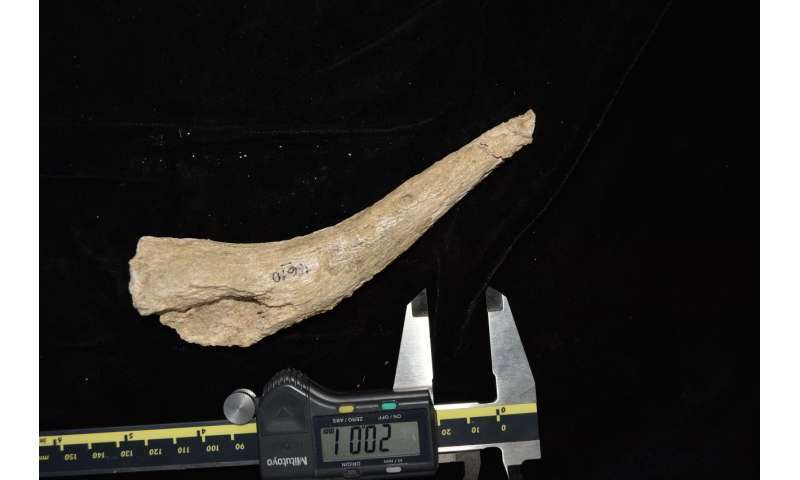 These newly discovered activities approximately date to the oldest known fossil record of Homo sapiens and occur tens of thousands of years earlier than previous evidence has shown in eastern Africa. These behaviors, which are characteristic of humans who lived during the Middle Stone Age, replaced technologies and ways of life that had been in place for hundreds of thousands of years. 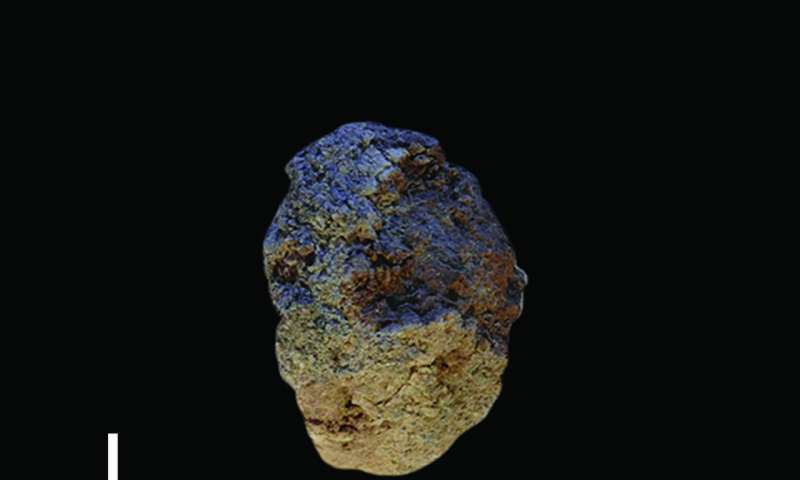 The first evidence of human life in the Olorgesailie Basin comes from about 1.2 million years ago. For hundreds of the thousands of years, people living there made and used large stone-cutting tools called handaxes. Beginning in 2002, Potts, Brooks and their team discovered a variety of smaller, more carefully shaped tools in the Olorgesailie Basin. Isotopic dating by Deino and collaborators revealed that the tools were surprisingly old—made between 320,000 and 305,000 years ago. 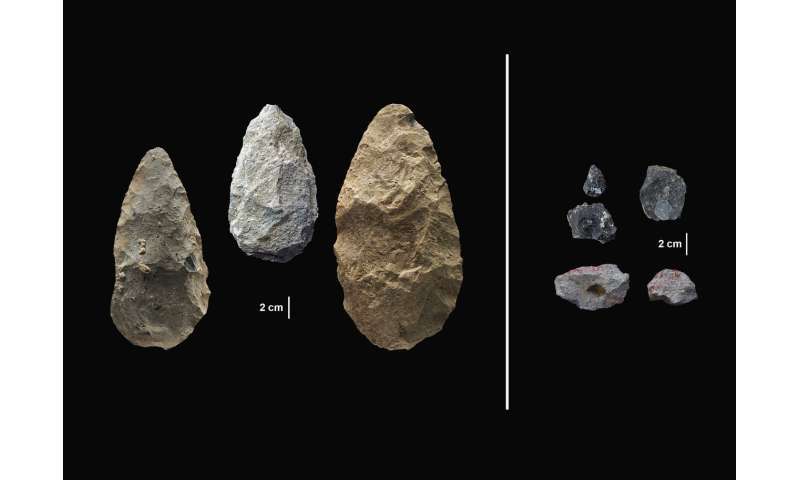 These tools were carefully crafted and more specialized than the large, all-purpose handaxes. Many were points designed to be attached to a shaft and potentially used as projectile weapons, while others were shaped as scrapers or awls. The team also discovered black and red rocks—manganese and ocher—at the sites, along with evidence that the rocks had been processed for use as coloring material. "We don't know what the coloring was used on, but coloring is often taken by archeologists as the root of complex symbolic communication," Potts said. "Just as color is used today in clothing or flags to express identity, these pigments may have helped people communicate membership in alliances and maintain ties with distant groups." Geological, geochemical, paleobotanical and faunal evidence indicates that an extended period of climate instability affected the region beginning around 360,000 years ago, at the same time earthquakes were continually altering the landscape. Although some researchers have proposed that early humans evolved gradually in response to an arid environment, Potts says his team's findings support an alternative idea. Environmental fluctuations would have presented significant challenges to inhabitants of the Olorgesailie Basin, prompting changes in technology and social structures that improved the likelihood of securing resources during times of scarcity. Why go back by Million years? We have so much possible in our hands, right now. Why say it is normal for people to die and complain about population explosion, if status quo is not allowed to continue? Why not think that we will have added/accrued knowledge of generations living together ? Everyone can go back and do Ph.Ds; We have galaxies at our disposal. Coming to the point, add up genes of allied animals, wherever it is possible to start with and COLLECT NEW DATA on CELLULAR METABOLISM ! Extrapolate it to the benefit of Human Welfare. 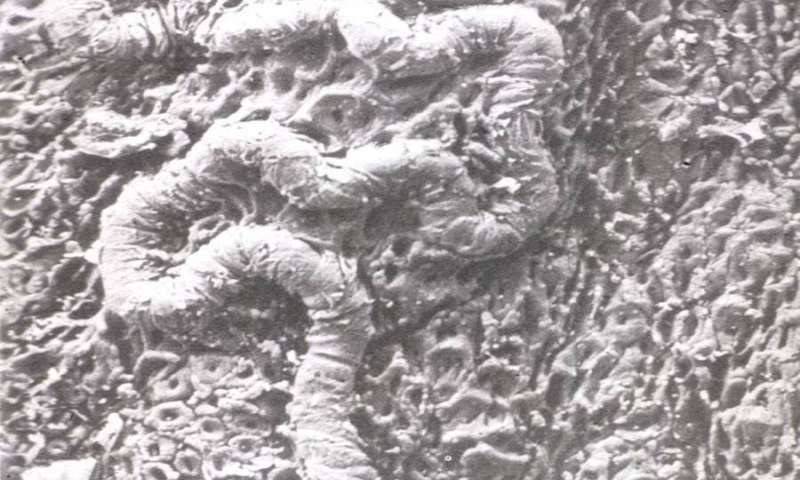 REMEMBER ALL OF US, ORGANISMS START OUT AS UNICELLULAR ! It was not possible EARLIER; Gene Editing has been going on since 5 years only; NEW SCIENCE. @betterexists -- Why don't you want to know how our species came to be? You know, learning about ourselves and the universe, obtaining an insight on how intelligence (or stupidity) emerged on one particular planet? And, btw, no, we don't have galaxies at our disposal. Maybe I missed it being mentioned in this article. But I would think that an important use for sharing coloring materials was camouflage for hunting parties. Especially in open grasslands. Also, perhaps the materials used could mask human scent from nervous prey? The sky is falling! Climate change created variability that allowed proliferation of competitive genes within hostile environments, further evolving the species. See the Antelopes here. What is stopping merging them? Another question: 1 video says they do not have much to eat. Why not take a few to subtropics or tropics? The Non-Vegetarians are EVERYWHERE. They can eat'em if they multiply UNCONTROLLABLY ! In a time of upheaval people migrated to the necessary resources. Those who lived where there was plenty had to fight for what they had or flee. There were no borders, no fences, no laws. The strong prevaled and the weak escaped to less desirable land — away from water and abundant life, to the mountains where there was only rock. But some of those rocks were incredibly sharp and durable. Eventually this wealth was discovered and the weak fled again, taking what valuables they could carry. And the obsidian moved. How many thousands of times has this story played out?